This year’s South African Oscar nominee for Best Foreign Language Film, Noem my Skollie is set in the Cape Flats of the 60s. AB, the film’s main protagonist, has a gift for storytelling from a young age, but a vicious assault compels him to form a gang with his young friends, the better to protect each other. Eventually, AB finds himself in jail, having to deal with the notorious “numbers” gangs. He uses his story-telling talents to evade the worst of prison life, and the otherwise inevitable – and irrevocable – indoctrination into prison gang culture. Noem my Skollie brings us two phenomenal performances: Austin Rose and Dann-jacques Mouton, who play the fictional AB during two periods of his life. It took John W. Fredericks many years to write the film. He says of Noem my Skollie: “This is not a gang film. It’s a film about childhood friendship and about loss in adversity. It tells a story of how everyone have (sic) a natural gift but how some gifts are harder to find than others. 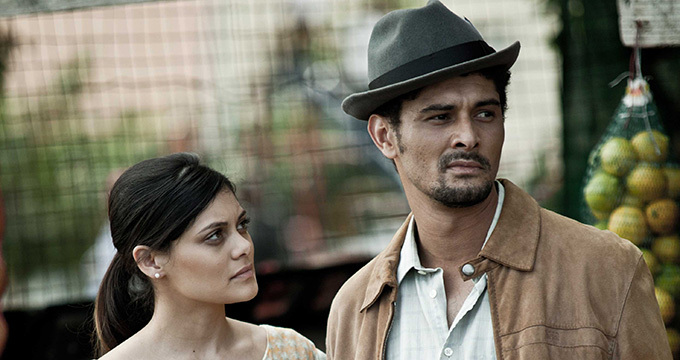 It’s the story of my life.” Perhaps that’s why, unlike many other films that depict gangs, Noem my Skollie has the ring of truth, neither glamourizing nor flinching when that human truth is ugly.